X-Files: The Collector's Set Is Finally Headed for Blu-ray! LOS ANGELES, Calif. (October 8, 2015) – Since its inception in 1993, “The X-Files” has remained a worldwide phenomenon, garnering a loyal cult following, 16 Emmys® and five Golden Globes® Awards, including “Best Dramatic TV Series” during its nine-season run. Now for the first time, all nine exhilarating, groundbreaking seasons of “THE X-FILES,” along with special features, can be yours to own on Blu-ray! Although they began as reluctant partners, FBI special agents Fox Mulder and Dana Scully (Golden Globe®*** winners David Duchovny and Gillian Anderson) ultimately form a powerful bond as they struggle to unravel deadly conspiracies and solve paranormal mysteries. 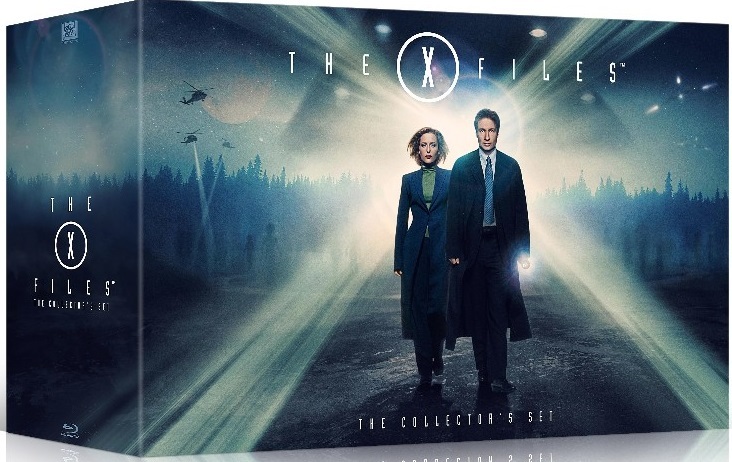 “THE X-FILES” THE COLLECTOR’S SET features more than 23 hours of content across all nine seasons – perfect for catching up on the series before the new event series airs. Relive all the mythology, conspiracy theories with special features, including behind-the-scenes featurettes, and commentaries by executive producer Chris Carter (“Millennium,” “Harsh Realm”), R.W. Goodwin, Rob Bowman, Kim Manners, Frank Spotnitz, Robert Patrick and Rod Hardy. 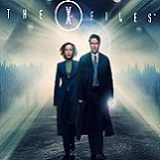 Fans can pre-order the collection and individual seasons at www.x-filesblu-ray.com.